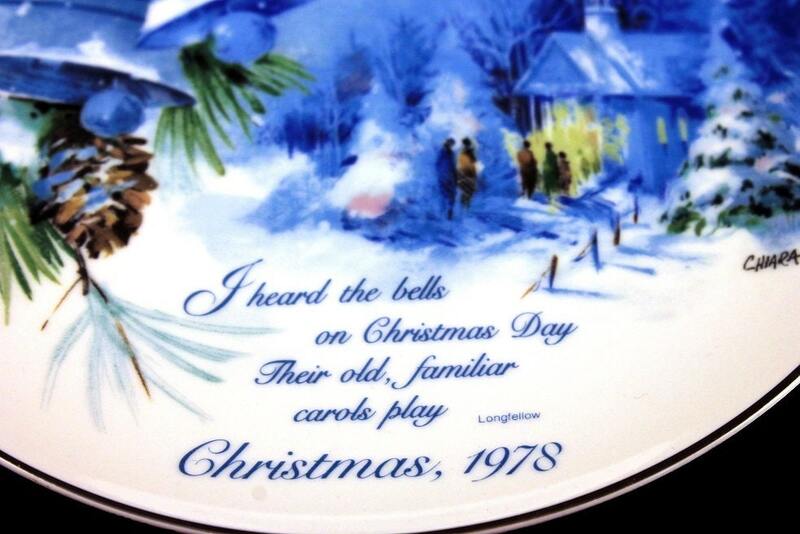 A lovely Christmas commemorative plate by American Greetings. 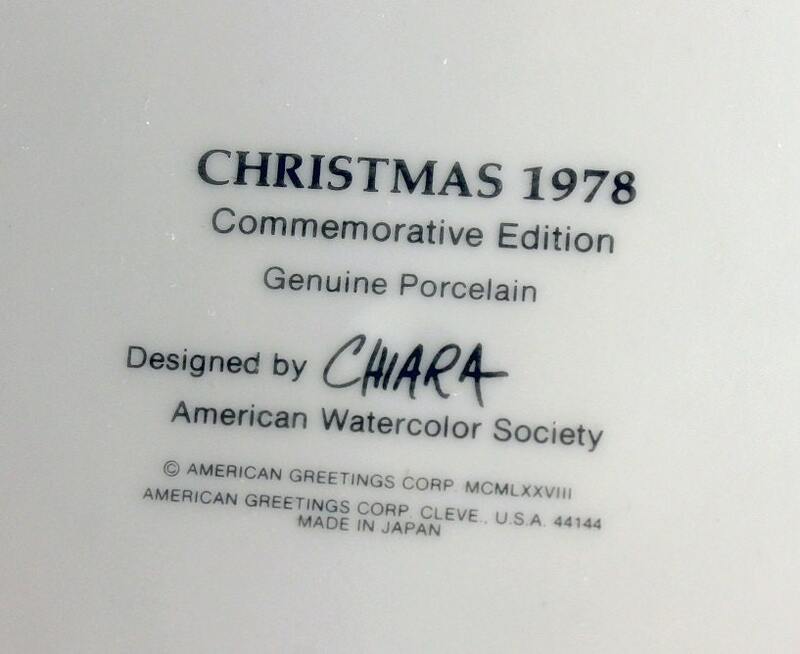 The plate is porcelain and dated 1978. It was released for the American Watercolor Society and was designed by (Alan) Chiara. 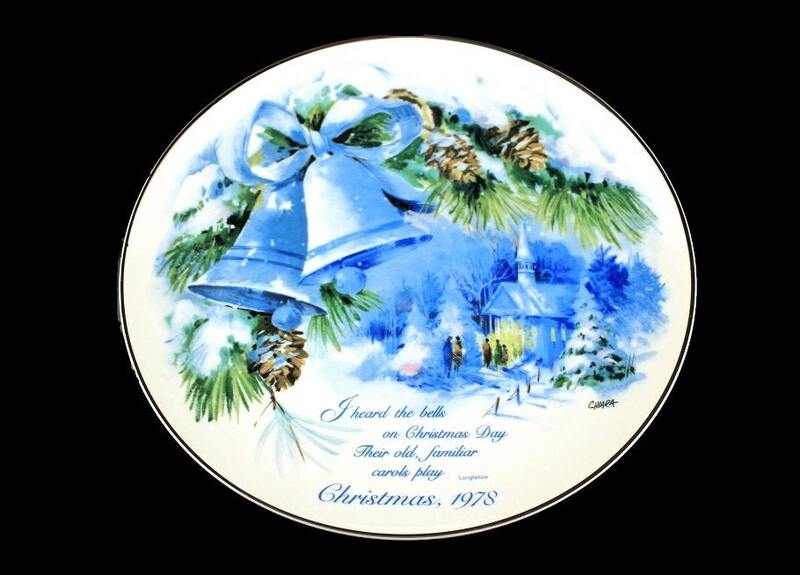 The plate has large blue bells in the foreground with pine branches and pinecones. In the background is a church and on the bottom is the writing "I heard the bells on Christmas Day, Their old, familiar carols play." 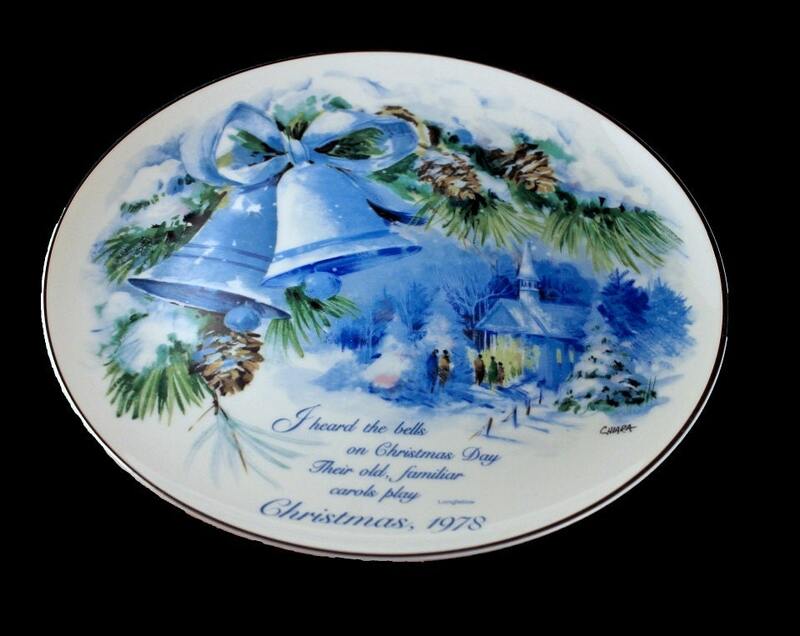 What a great addition to a holiday plate collection. "I Heard the Bells on Christmas Day" is a Christmas carol based on the 1863 poem "Christmas Bells" by American poet Henry Wadsworth Longfellow. 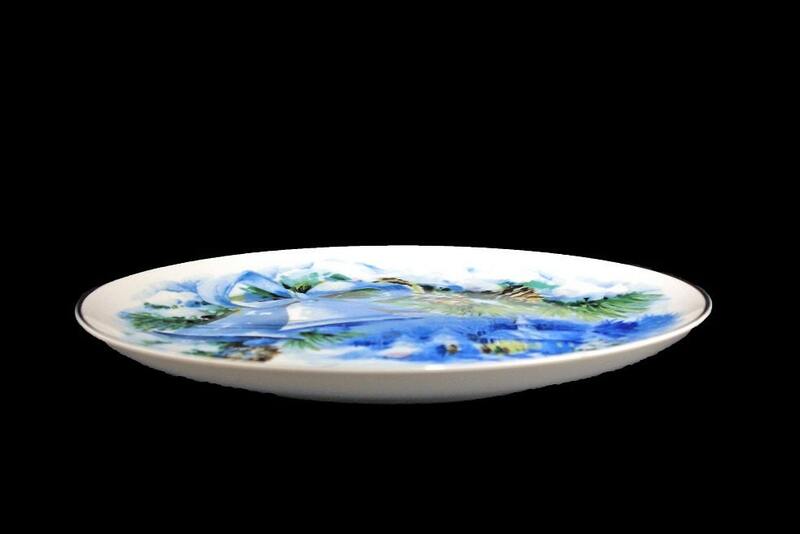 This plate is in excellent condition. There are no chips, cracks, or crazing. The silver trim is also in excellent condition. It would make a great holiday housewarming, hostess, wedding, or shower gift. A great piece to add to your collection.